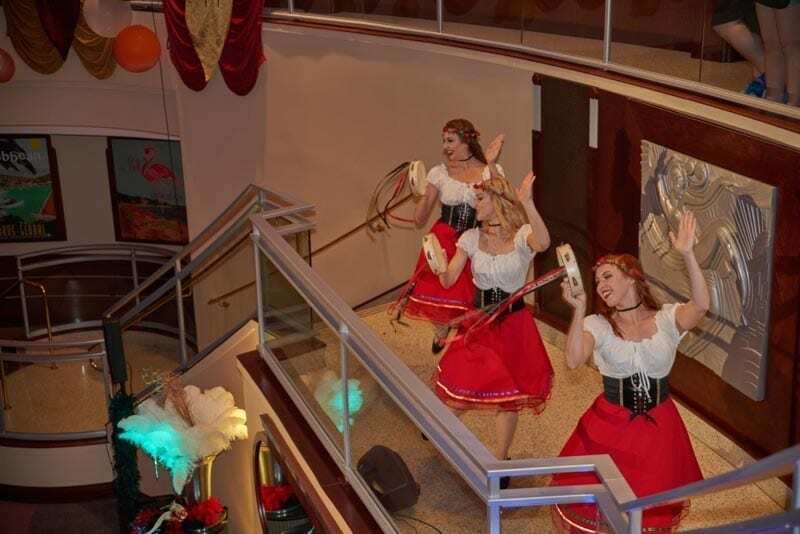 As the Italians say, “a Carnevale ogni scherzo vale!” (Anything goes at Carnevale!) 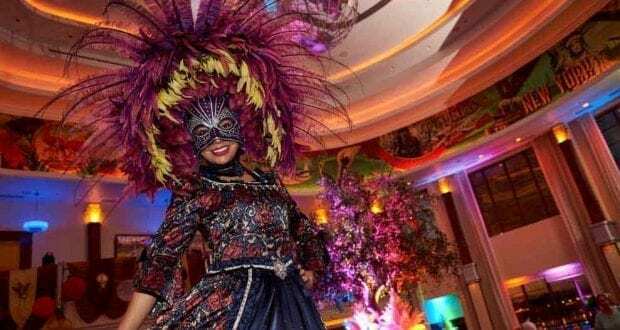 Carnevale, the traditional winter festival famous in Venice and known as Mardi Gras outside of Italy, is a spectacle of glamorous costumes, culinary delicacies, and riotous celebration. 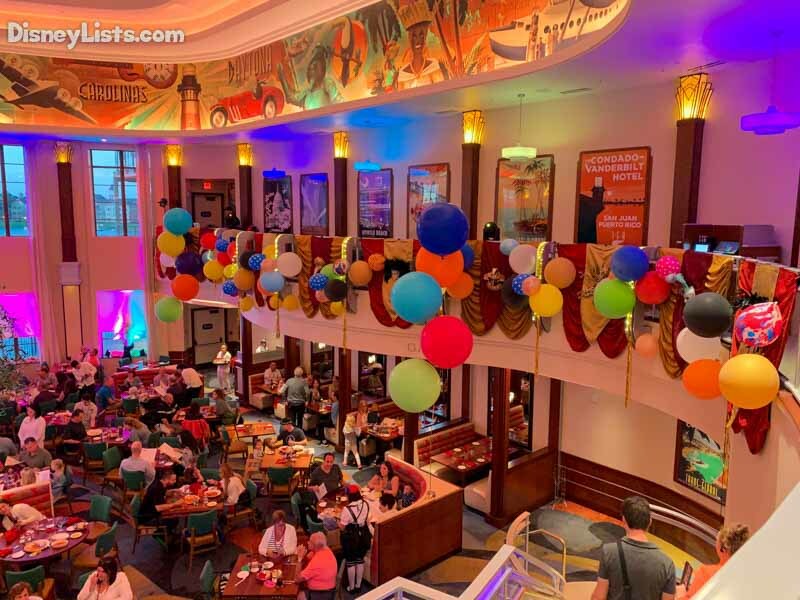 Now through March 5, you’ll get a chance to experience this fun festival at Maria & Enzo’s Ristorante at Disney Springs. 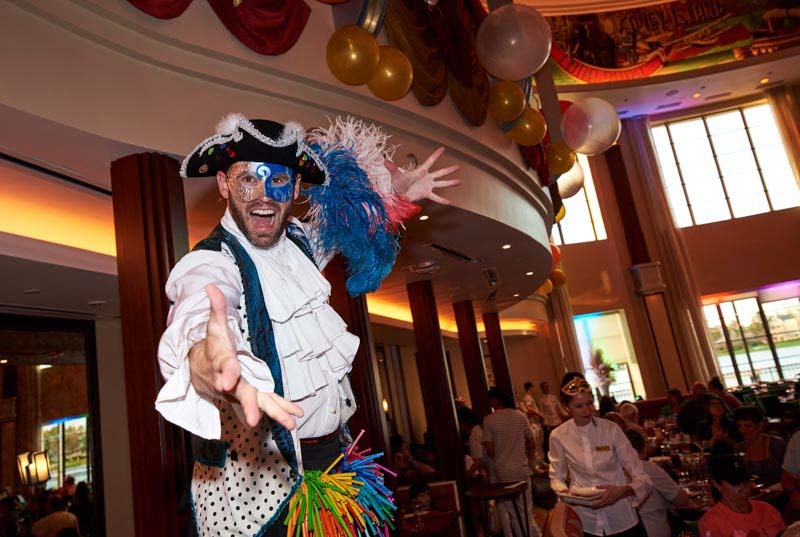 We recently enjoyed a Carnevale dinner and had a fantastic time. Catch all the details below. Maria & Enzo’s Ristorante at Disney Springs is just over one year old and is a very popular destination for lovers of great Italian food. 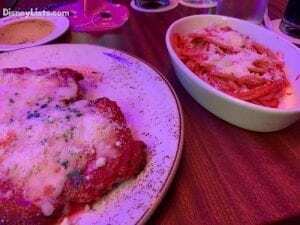 The restaurant is an intimate Italian trattoria set in the once-abandoned Disney Springs airline terminal from the 1930s, now transformed into a restaurant. The dining room is open and airy, featuring 50-foot ceilings with views of Lake Buena Vista. The restaurant interior showcases artifacts that recall air travel of the time, with brightly illustrated pictographs, reimagined air terminal boarding gates and a First Class Lounge where randomly selected guests are upgraded upon arrival. The menu, created by Michelin star-rated Chef Theo Schoenegger, features a variety of handmade pastas including Busiate con Granchio (spiral pasta with crab), Rigatoni all Norma (eggplant, chile, tomato, ricotta salata) and ‘Ncasciata al Forno ( Sicilian baked pasta) – served tableside. Other highlights include Braciola di Maiale (Berkshire pork chop, plum mostarda), Nodino di Vitello (grilled veal chop) and Tonno (grilled ahi tuna steak, pistachio pesto) all served with rosemary potatoes and tempura fried vegetables. The spectacular wine list of more than 100 bottles is – lovingly — primarily Italian. The restaurant is open from 11:30 a.m. to 12 midnight daily. 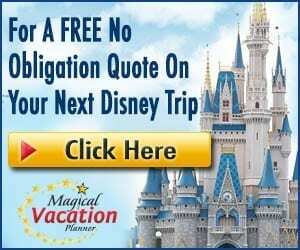 The backstory is that the restaurant was the dream of Maria and Enzo, who met in Italy before moving to Florida and wanted to introduce Italian cuisine to the town folk of the bustling Disney Springs. An airline pilot, Enzo was drawn to an abandoned airline terminal, which became the spacious setting for the restaurant. 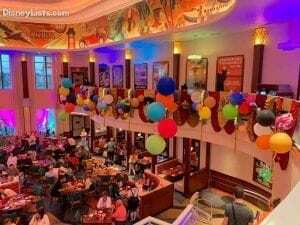 For Carnevale, the restaurant was decorated with colorful balloons, masks, and other decorations. There was a warm glow throughout the large room. Our table was also decorated with masks and beads to add to the fun. Guests may choose to order the “Feast of Carnevale,” a five-course meal for $45, or order off the main menu. 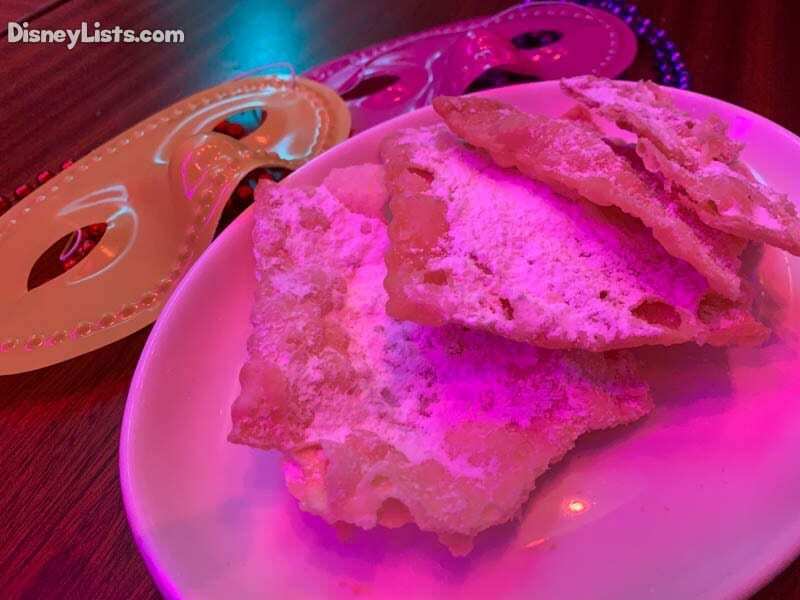 We highly recommend ordering the Feast of the Carnevale, there were plenty of great options within the feast, and for all of the food we received, it was a great value. The food was absolutely delicious, and we left completely full and with leftovers for the next day. We ran into several friends, most of whom are Italian, and they all told us how Maria & Enzo’s is a favorite for them because the food is authentically Italian and is a treat to enjoy here in Orlando. There is also an extensive wine list and other drink options as well. One of the biggest reasons to go to Carnevale, other than the food, is the nightly live entertainment, which includes singers, stilt walkers, jugglers, mimes, face painters and folk dancers. We thought they did a great job with the entertainment without overdoing it. The musical numbers were about every twenty minutes, so you could still enjoy your food and conversation without being disrupted. The singers were fantastic and extremely talented. One of the stilt walkers went around the room and made balloon creations for guests. There was also a lady who was available to do face painting for anyone who wanted it. We enjoyed the jugglers and folk dancers as well. This entertainment is only available during Carnevale and was such a treat to enjoy while eating dinner. Another special part of the evening was being able to receive a hand-painted mask! 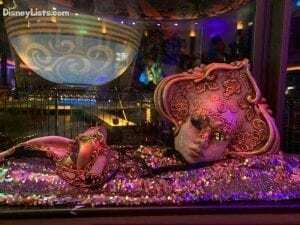 An artist was available to custom paint a mask that you can take home as a souvenir. 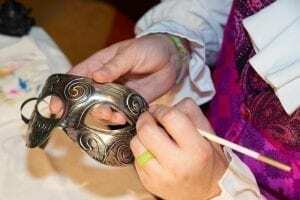 It was a treat to watch the artist paint the masks and interact with guests. 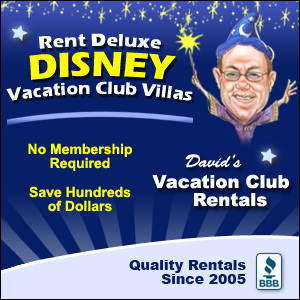 These are available to all guests for no additional charge. We had a fantastic evening at Carnevale. The food was delicious, the atmosphere and the entertainment were top-notch. What would have been a typical night out, was transformed into a unique evening with great entertainment you can’t get anywhere else. If you have a chance to dine at Maria and Enzo’s now through March 5, we highly recommend making a reservation for dinner to enjoy Carnevale. You can visit mariaandenzos.com or call 407-560-8466 for reservations and more information. For more photos and video of the evening, but sure to check out our Instagram Story Highlight by clicking here! Editor’s Note: We were provided with a complimentary dinner for Carnevale. However, as always, the thoughts and opinions contained in this article are entirely our own.